Vitamin D is in the news a lot right now as a beneficial part of a health care regimen, but are their potential vitamin D side effects that arise from supplementation? Vitamin D is a fat soluble vitamin that is essential for a number of bodily functions including bone formation through the promotion of calcium absorption and bone mineralization. It also plays roles in promoting a healthy immune system and reducing inflammation. Because vitamin D is fat soluble it is not excreted in the urine as water soluble vitamins are and instead, vitamin D is stored in body fat until it is used by the body. This storage of fat soluble vitamins, including vitamin D can lead to a build up in the body, ultimately leading to toxicity. Vitamin D is not widely available in food sources. Primary sources of vitamin D include fish and fish oil. It is also found in very small amounts in beef liver, egg yolks and cheese. Because of this, a dairy products are fortified with vitamin D to promote the absorption of the calcium.Vitamin D can also be manufactured in the body through the absorption of sunlight on the skin. Sun block and cloudy climates have led to a decline of this delivery system for vitamin D. Vitamin D is also available in supplements. Because vitamin D is a fat soluble vitamin, it is recommended that those supplementing do so with caution due to the potential for toxic build up in the body. You may wish to ask your personal health care provider for a serum vitamin D blood test to determine whether or not supplementation of vitamin D is necessary. 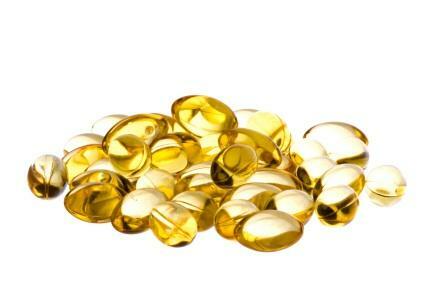 Cod liver oil is high in vitamin D. Do not supplement with vitamin D and cod liver oil unless you have been advised to do so by a qualified health care provider. Vitamin D supplementation has the potential to interact with certain medications including steroids and anti cholesterol drugs. Talk with your doctor or pharmacist before supplementing vitamin D if you are taking any medications to make sure there will be no interactions. The following is a list of some of the vitamin D side effects. Vitamin D is generally well-tolerated; however, you may notice some of the following side effects. The following are signs of vitamin D toxicity. If you are supplementing with cod liver oil and/or vitamin D and experience any of the symptoms listed below, a visit to your personal health care provider may be in order. While vitamin D overdose is rare, vitamin D supplementation does present a mild risk of overdose. Different people absorb different levels of vitamin D, so two people taking the exact same amount of vitamin D may react to it quite differently. This is because some people absorb more vitamin D, while others block absorption. There are a number of factors that play a role in how much vitamin D you absorb, including genetics and diet. The classic symptoms of vitamin D overdose include nausea, vomiting, loss of appetite, headache, abdominal pain, bone pain and dry mouth. If high intake levels of vitamin D are continued and the condition progresses, the body begins to display early signs of impaired kidney function - like frequent urination. If you are taking vitamin D and experience any of the signs listed above, it is important that you check with your doctor and have your vitamin D levels checked as soon as possible in order to avoid the ultimate progression of vitamin D toxicity, which is kidney failure. It's true that many people are deficient in vitamin D and need supplementation; however, when taking a fat soluble vitamin such as vitamin D, it is equally important that you are aware of the signs and symptoms of overdose and toxicity. If you are unsure about whether or not you should supplement vitamin D, a simple blood test can give you the answers you seek.